Author Washington Irving was born in New York City in 1783. He achieved international fame for the fictional stories "Rip Van Winkle" and "The Legend of Sleepy Hollow," as well as for such biographical works as A History of the Life and Voyages of Christopher Columbus. Irving also served as the U.S. ambassador to Spain in the 1840s, and pushed for stronger copyright laws before his death in 1859. Washington Irving was born on April 3, 1783, in New York City. The youngest of 11 children of Scottish-English immigrant parents William Sr. and Sarah, he was named after George Washington, the hero of the just-completed American Revolution, and attended the presidential inauguration of his namesake in 1789. 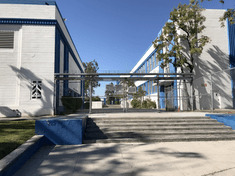 Educated privately, Irving began writing essays under the pen name Jonathan Oldstyle for the Morning Chronicle, which was edited by older brother Peter. After touring Europe from 1804-06, he returned to New York City to practice law – through by his own admission, he was not a good student, and in 1806 he barely passed the bar. Preferring to indulge his creative impulses, Irving teamed with friend James Kirke Paulding and oldest brother William to publish Salamagundi, a periodical of humorous essays. In a similar vein, he penned the History of New-York from the Beginning of the World to the End of the Dutch Dynasty, by Diedrich Knickerbocker (1809), a satirical work that earned the writer widespread acclaim. 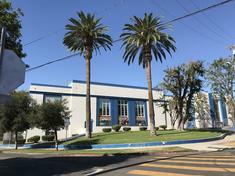 Despite the early successes, Irving's career stalled as he sought to figure out what to do next. He landed a job as editor of Analectic Magazine, and briefly served in the military during the War of 1812. In 1815, Washington Irving traveled to England to help his brothers with the floundering family business. When that endeavor failed, he composed a collection of stories and essays that became The Sketch Book of Geoffrey Crayon, Gent. Published in several installments over the course of 1819-20, The Sketch Book contained two of the author's most famous works, "Rip Van Winkle" and "The Legend of Sleepy Hollow," and made him a literary star both in England and the United States. Irving followed with Bracebridge Hall (1822), and then Tales of a Traveller (1824). After accepting an invitation from the U.S. Minister to Spain, he moved to Madrid in 1826 and embarked on extensive research for A History of the Life and Voyages of Christopher Columbus (1828), as well as the works that became Chronicle of the Conquest of Granada (1829) and Tales of the Alhambra (1832). Irving was then appointed secretary of the U.S. legation to London in 1829, a post he held until 1832. 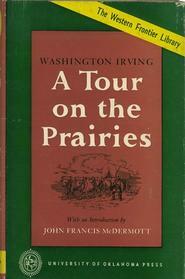 Upon returning to the U.S. in 1832, Washington Irving visited some of the little-known territories off the western fringes of the country, an expedition that inspired A Tour on the Prairies (1835). 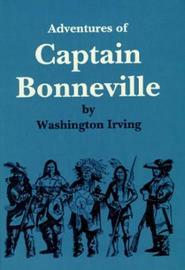 Continuing the western frontier theme, he wrote Astoria (1836), an account of the formation of John Jacob Astor's fur company, followed by The Adventures of Captain Bonneville (1837). After another stint abroad as U.S. minister to Spain (1842-46), Irving spent his later years at his New York estate of "Sunnyside," which served as a meeting place for the leading writers, artists and politicians of his era. He turned out a succession of mainly historical and biographical works during this time, including the five-volume Life of George Washington (1855-59). Irving passed away at his estate on November 28, 1859. Considered perhaps the first true American writer, Irving sought to nurture his successors and pushed for stronger laws to protect writers from copyright infringement. The terminology of his works seeped into American popular culture, with monikers such as "knickerbocker" and "Gotham" becoming affiliated with New York City. 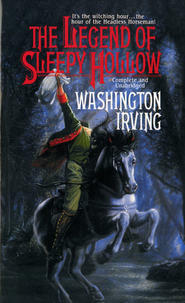 Underscoring the endurance of his fictional creations, "The Legend of Sleepy Hollow" was adapted into a 1999 film by director Tim Burton, and served as the basis for a TV series in 2013.